Medical cannabis in Italy is a multifaceted reality. Both Dutch Bedrocan products and the new "made in Italy" strain FM2 can be prescribed by doctors for a wide range of conditions. The army is growing cannabis, and pharmacists might start extracting resins. Medical cannabis is legal in Italy since 2007, even if obtaining a prescription from a physician, finding a pharmacy selling the herb, accomplishing the request procedures was complicated, if not impossible, until more recent times. Up to the last few months, the only authorised products containing THC used to be the different cannabis “Flos” from the Dutch company Bedrocan. Today, the army’s pharmaceutical department is providing hospitals and pharmacies with a newly registered medical strain. Furthermore, Italian galenic pharmacies are authorised to prepare precise cannabis doses for vaping or herbal teas, tinctures, resins, oils, micronized capsules, eye drops, suppositories, liquids for electronic cigarettes, transdermal gels, starting from officially registered medical weed. This is written on paper, but the reality is a bit different. Medical cannabis needs a prescription. Italian physicians are allowed to prescribe the herb “In order to treat any condition for which there is enough scientific literature". How much is “enough” is hard to tell, and the notorious lack of information on dosage, THC:CBD ratios, times and modes of ingestion prevents most of the doctors from prescribing cannabis. From a physician’s point of view a pain treatment based on traditional painkillers’ vast literature is much easier to handle. The costs for cannabis treatments are sustained by public healthcare for multiple sclerosis, cancer and chronic pain, anorexia, HIV, chemotherapy side effects, glaucoma, Tourette's syndrome. Right, but this happens only in case the patient doesn’t get benefits from traditional drugs, which remains the “first choice” treatments. Plus, each one of the 20 Italian region’s healthcare system (SSR - Sistema Sanitario Regionale) is autonomous on its politics, therefore they can eventually refuse to pay for treating certain conditions. Finally, very few family doctors or specialists in Italy are assuming the responsibility of prescribing medical cannabis to treat any other illness not listed in the SSR-supported ones, even if there seem to be ”enough” literature on that specific condition. The Stabilimento Chimico Farmaceutico Militare is a pharmaceutical factory depending on the Defense Ministry. Among its duties, this institution is in charge to produce “orphan” medicines for rare conditions, the ones that pharmaceutical companies don’t like to make, because there’s no profit from them. Given the uprising trend in medical cannabis use, trying to assign a license for medical cannabis production to a few private operators after an official tender would have probably turned into a civil war, so the army entered the field. Accompanied by big media coverage, The Stabilimento Chimico Farmaceutico Militare produced, tested and started the distribution of its first medical strain, named FM2 just like a ballistic missile, or a private radio. This crossing is developed by another public research centre, the CREA-CIN, headed by Dr Gianpaolo Grassi. Its cannabinoid profile is similar to the Dutch Bediol, with 6% THC and 8% CBD. After burning out a couple of first experimental harvests, the army started invading Italian hospitals and pharmacies with its FM2. Their target is covering the whole national request in a few years. For the moment the yearly amount of army’s production is around 100kg, about the same amount of good quality home-made “recreational” cannabis burned every day just in Rome or Milan. Anyway, 100kg of mould-free indoor medical cannabis is still a good start, even for a country with a climate, that allows for massive year-round, top-quality outdoor and greenhouse productions. The FM2 is apparently allowing patients to save around 30% on their medicines’ price, when not covered by regional SSR. The Dutch medical cannabis costs 18-24 Euro, while the Italian one is priced less than 15 Euro. 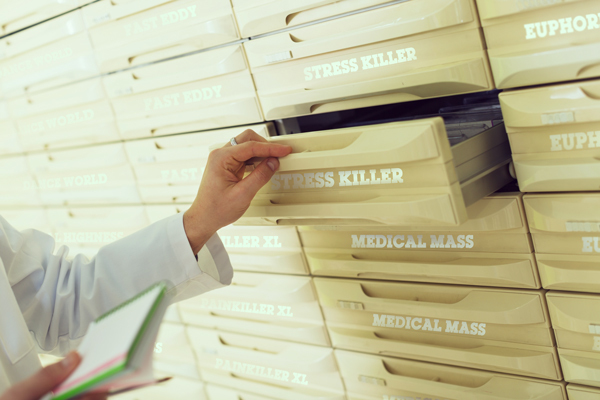 Pharmacies have to keep a very strict warehouse record for medical cannabis and physicians prescribing it have to send the Healthcare Ministry a form with clinical data and motivations for their therapeutic choice. Prescribing and buying many other psychotropic drugs is much easier. Also, the pharmacy is not allowed to resell the sealed Bedrocan 5g Flos jar to a single patient. The medicine must be prepared, which means the healthcare specialist has to grind the bud for you, and give you just a few joints at a time! When well informed, Italian doctors are able to prescribe 5 different medical varieties, with different THC:CBD ratios and concentrations: Bedrocan, Bediol, Bedica, Bedrobinol, and Bedrolite. Plus the new autarchic strain FM2. As opposed to Bedrocan products, it seems, that the FM2 ballistic missile is being launched in a ground form, probably to save pharmacists’ time in the forementioned preparation. That’s because grinding in less than 4mm crumbs makes the product “uniform”. No little sticks and leaves in Italian cannabis, please. And it’s not a big deal if grinding causes trichomes breakage and increases exposition to air and light, degrading the active principles. 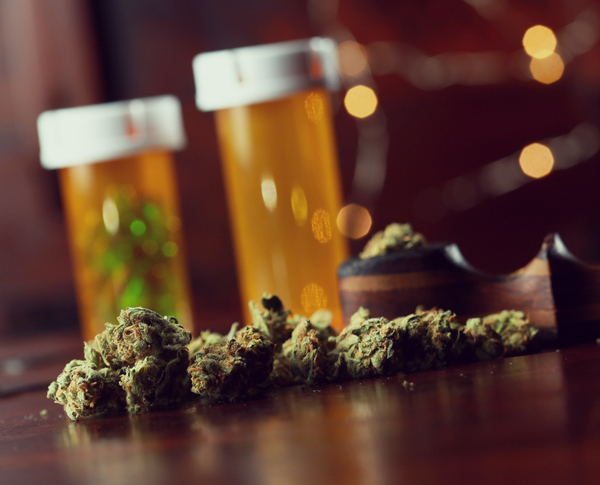 Right when home growing was booming in Italy as much as everywhere else, Italian patients used to experience medical cannabis supply shortages. For the next several years the Italian medical cannabis market will be shared between Bedrocan and the Stabilimento Chimico Farmaceutico Militare, since it is absolutely unlikely we’ll see new licenses granted to private players, either domestic or international. While probably reducing the Italian dependence from Dutch weed, it is unlikely the Army might soon keep pace with the request of a number of patients, which is drastically increasing. Furthermore, a recent law imposed to galenic pharmacies preparing cannabis derivatives to exactly calculate the cannabinoid profile for every single bottle of extract provided to the patient. As a result, very few pharmacies will be producing cannabis extracts tailored to their patients' needs. And while an extensive legalisation law proposal sits in the parliament lounge waiting to be discussed, patients are still not allowed to grow their own medical cannabis in individual or associated forms.